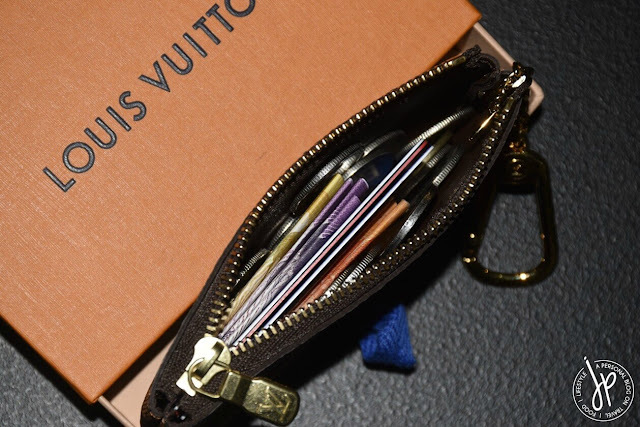 The LV Key Pouch is probably Louis Vuitton’s most popular luxury starter piece. 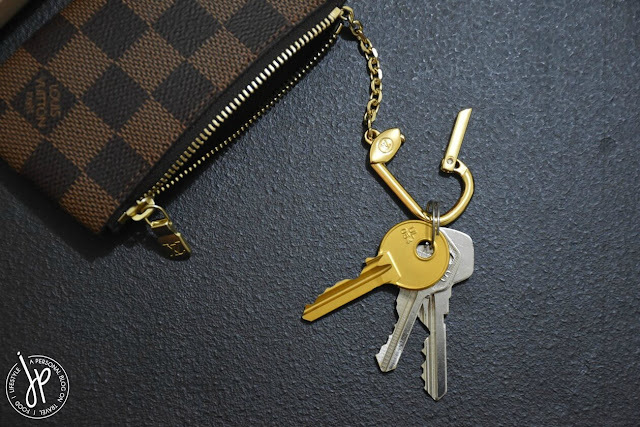 As people in the luxury community refer to it as the clés (French for “keys) or key clés, this accessory has been a staple of many LV lovers and collectors. If you look at it, the key pouch simply looks like a glorified coin purse with an attached chain and hook for the keys. However, I’ve been reading great reviews and YouTube videos about this product and discovered how people swear by the high quality and value for money of the LV clés. 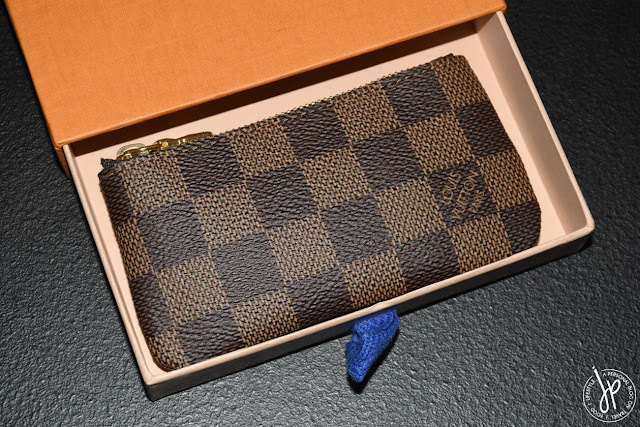 Some people found this piece so useful in their everyday life, that they collected all three available prints for this item (monogram, damier ebene, and damier azure). Curious about how the key pouch would work in my daily living and how much this tiny thing could hold, I jumped on the bandwagon. The key clés is priced at $205 (plus tax) in the US, but I got mine brand new at $25 less. As always, there’s this thrilling sensation and triumphant glow once you leave a Louis Vuitton boutique with an orange paper bag! 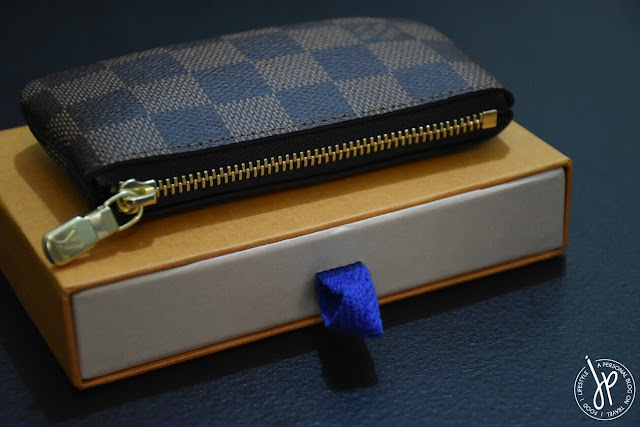 The LV key pouch is made of two pieces of durable coated canvas which are sewn together. 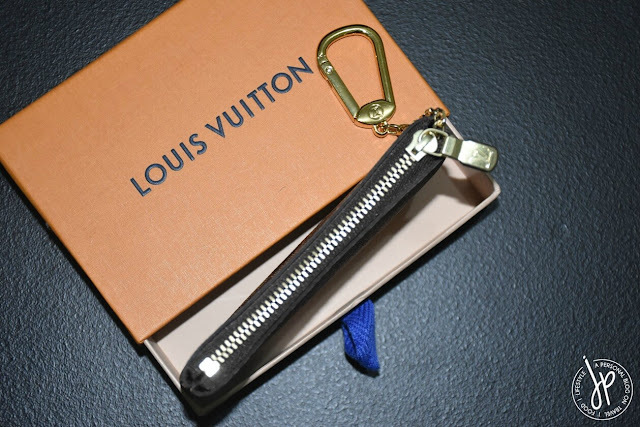 The zipper, zipper pull, slider, chain, and hook are gold plated brass. It’s also lightweight. In the long term, the hardware will tarnish. How quickly the gold plating will fade depends on how frequent the product is being used. A closer look at the hardware. Apart from the key chain and hook, this key pouch is empty. 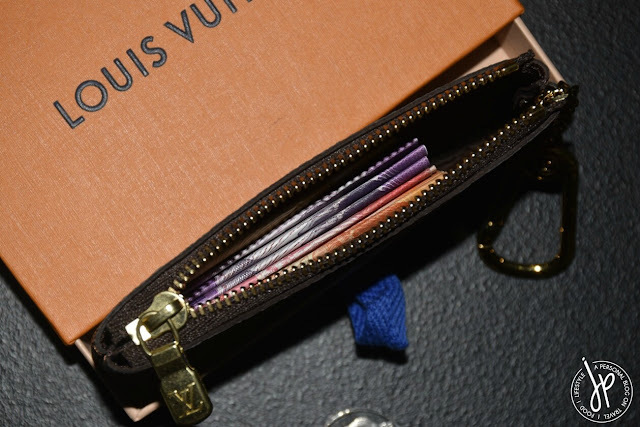 The LV Key Pouch has multiple uses for its single compartment design. Some people use it as a bag charm by attaching the hook of the clés on the strap, buckle or ring of a bag. Others fasten the hook on a belt loop when they’re wearing shorts or pants. 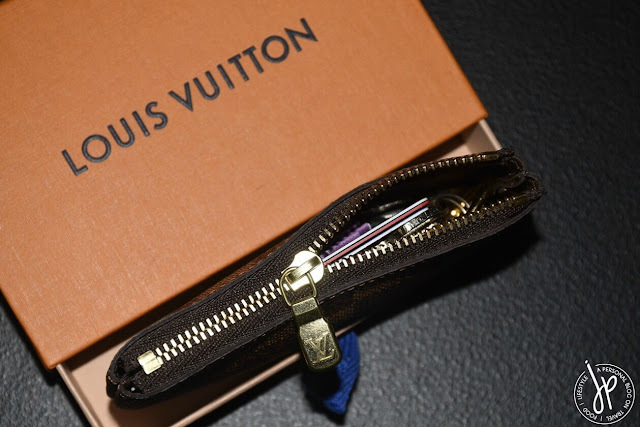 But the most common use of this LV item is (of course) for storage of (1) coins, (2) multiple credit, bank, and points cards, (3) keys, (4) first aid and medicine, (5) earphones, (6) hair pins and hair ties, and a lot more. People usually keep these small items separately or per type, but never altogether. Still unsure about its full capacity, I purchased my own so I can combine all coins, bills, cards, and keys - the everyday things I would bring whenever I leave the house. 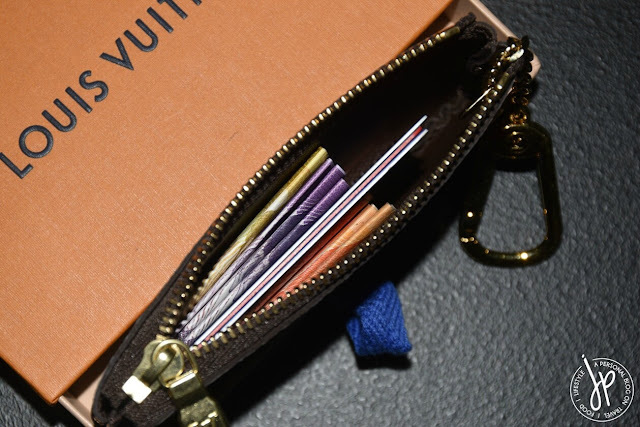 For this review, I’d like to see how much the key pouch can hold by putting all these things inside: 3 cards, 7 banknotes or bills, 3 keys, and a total of 20 coins. 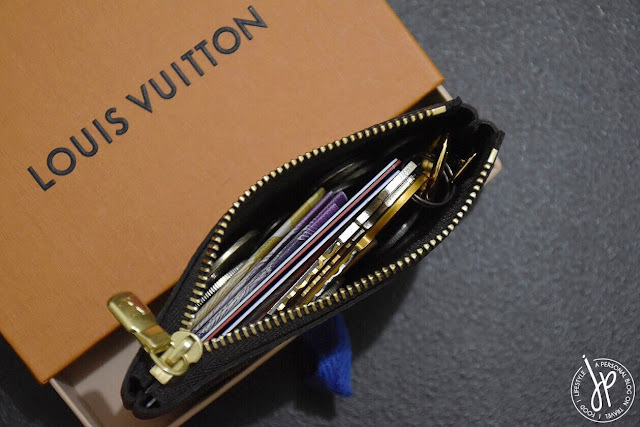 Cards, keys, banknotes, and coins - all the things to fill up my LV Key Pouch. The cards are just the standard size cards (bank, credit, and health). For this review, I’m using my health card instead of my ID for security purposes. The Philippine banknotes have the same sizes for all denomination (comparable to US dollar banknotes). The keys are just the regular keys for door knobs. 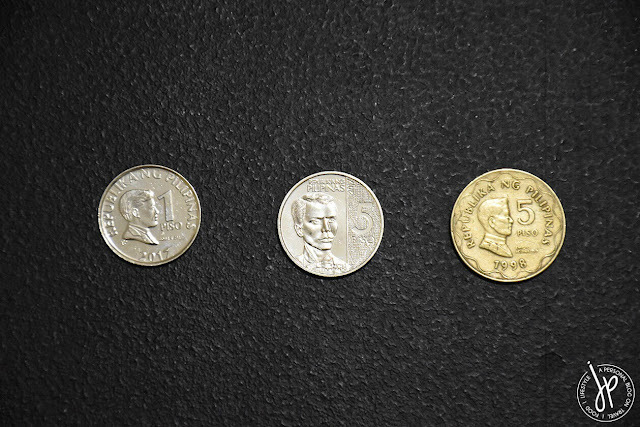 Finally, the coins are the commonly used ones in the country, with one-peso coins (23mm) a hair smaller in diameter as compared to US dollar quarters, and the old five peso coin at 26mm in diameter. Positioning all the items inside can be a little tricky. As much as I wanted to put everything in there all at once (which is possible), I didn’t want my LV small leather good (SLG) to get deformed. I had to strategize. 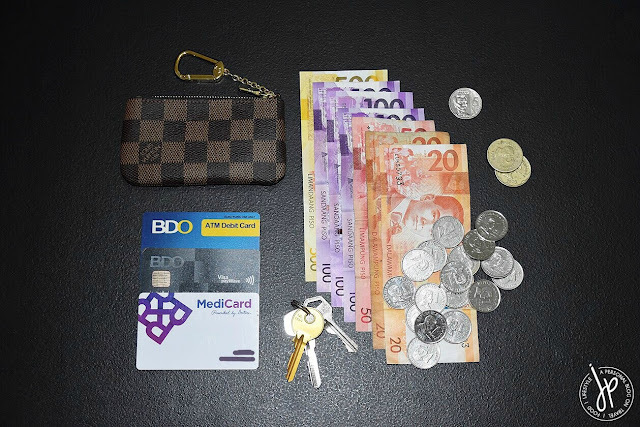 First, I folded each banknote twice and placed them inside the key pouch. Second, I placed all three cards in the middle. Third, I scattered the coins on each side of the pouch. Fourth, I attached the keys on the hook. Notice that I used a separate metal loop for the keys as the hook would be too thick for the key hole. Lastly, I positioned the set of keys horizontally on the side with seemingly less coins. Step 1: Fold all banknotes. Step 2: Insert cards in the middle. Step 3: Add all coins on the sides. Step 4: Attach keys to hook. Slowly, I glided the zipper pull until the clés is completely fastened. I gave it a little shake to make sure the coins are scattered evenly, avoiding the pouch to bulge on one side alone. Notice that despite it being full, the SLG remained compact and didn’t show any signs of deformity. 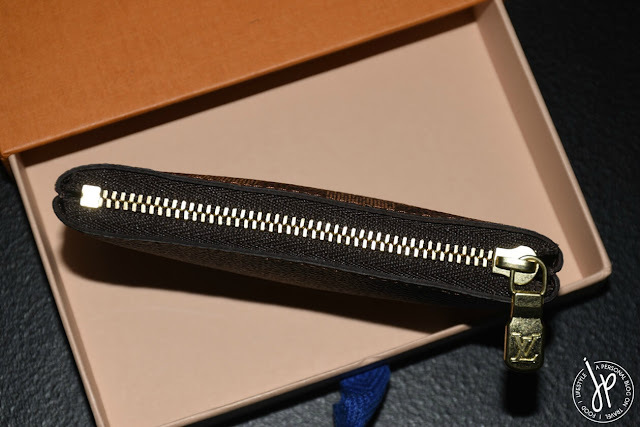 Usually when a zippered pouch becomes overstuffed, the zipper becomes crooked. 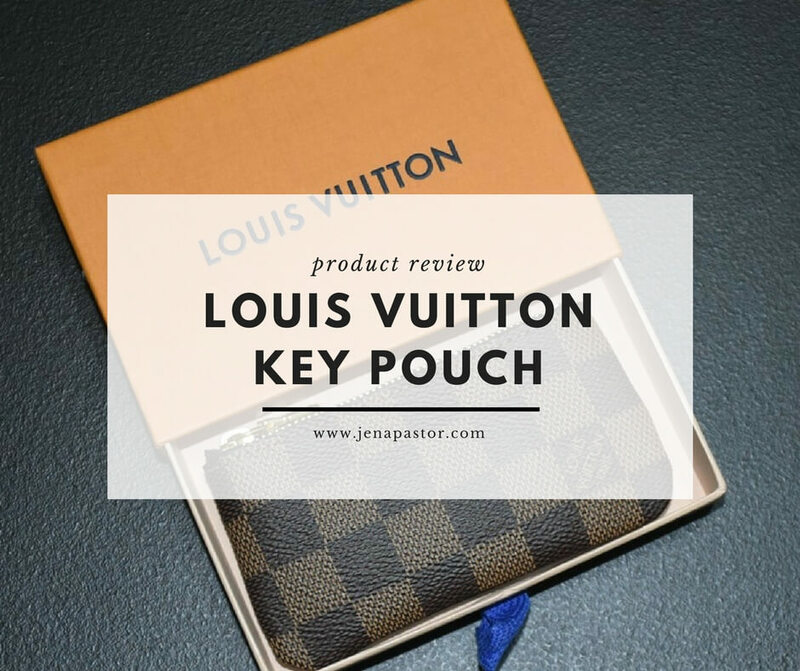 However, the shape and form of the Louis Vuitton key pouch remained intact. I’ve been using my LV key clés on and off for the past 5 months. I usually carry it with me for quick errands, when I carry a small bag, or when I travel. The teeth or chain of the zipper was kept straight, despite the pouch being full. Was it worth the purchase? So far, yes. 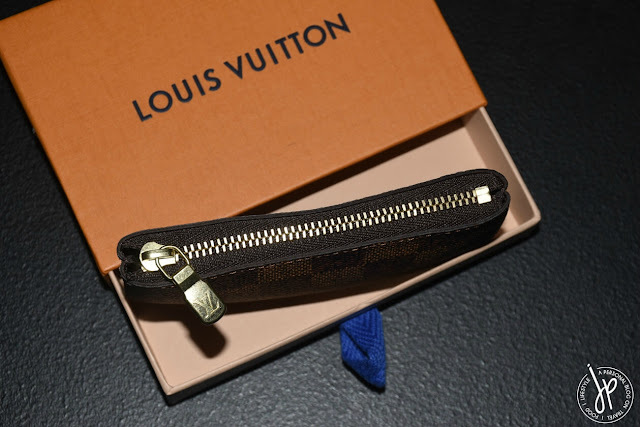 I don’t treat my SLGs with extra care and this Louis Vuitton key pouch is very low maintenance. I like using the hook to keep my keys inside to protect my other belongings, instead of using the pouch as a bag charm. I hope LV makes this in damier graphite and monogram eclipse versions because my husband has been stealing jealous glances at it! Disclaimer: This is not a sponsored post. The contents of this entry are purely my opinion and 100% honest based on my shopping experience and actual product use.